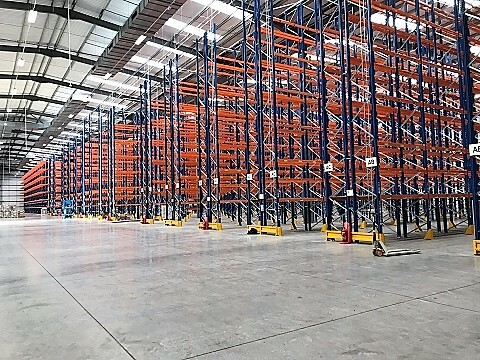 Warehouse Storage Solutions was invited to tender for a Mezzanine Floor to be fitted in Harrogate. Due to the works that were going to be happening on the floor it was vital that the design was correct. RR Donnelly are a UK leading printers of the famous Yellow Pages. 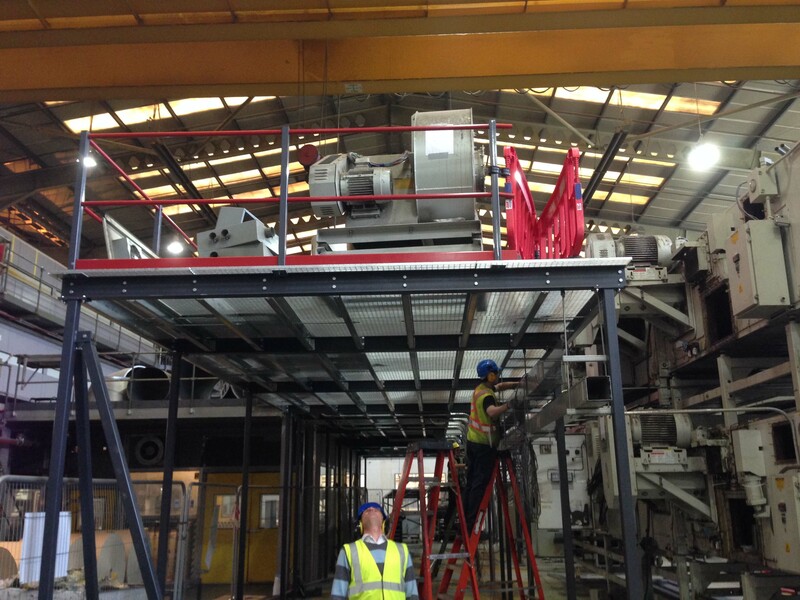 The new printing press that was being installed at their site in Harrogate needed a mezzanine floor for staff use. The floor had to have an open steel mesh deck due to the number of ink that was to be put into the press and also because of the flow of air. Also by using a steel mesh deck it made it easier for the installation and maintenance of the M&E equipment. 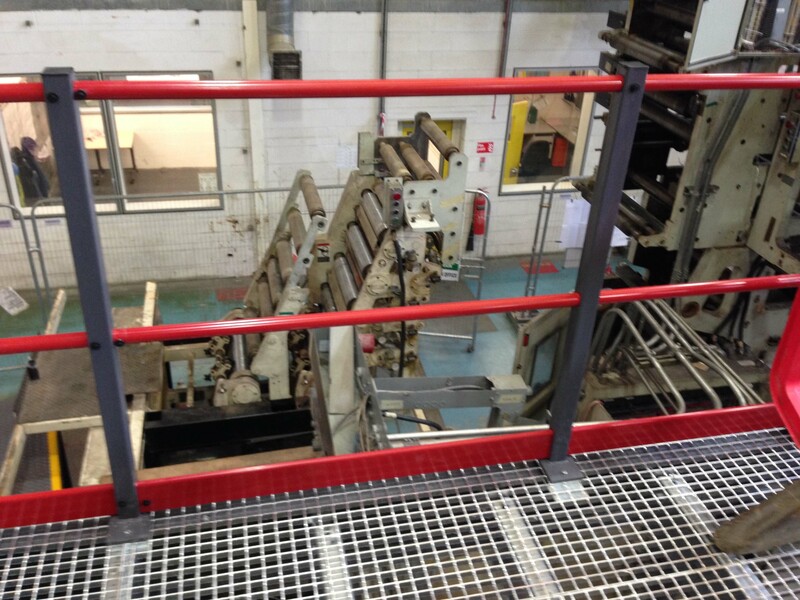 The hardest part of the design process was to design the mezzanine floor around the press before it had been installed. The press arrived 1 week after the contract had been awarded to Warehouse Storage Solutions and we had already started the manufacture of the floor. 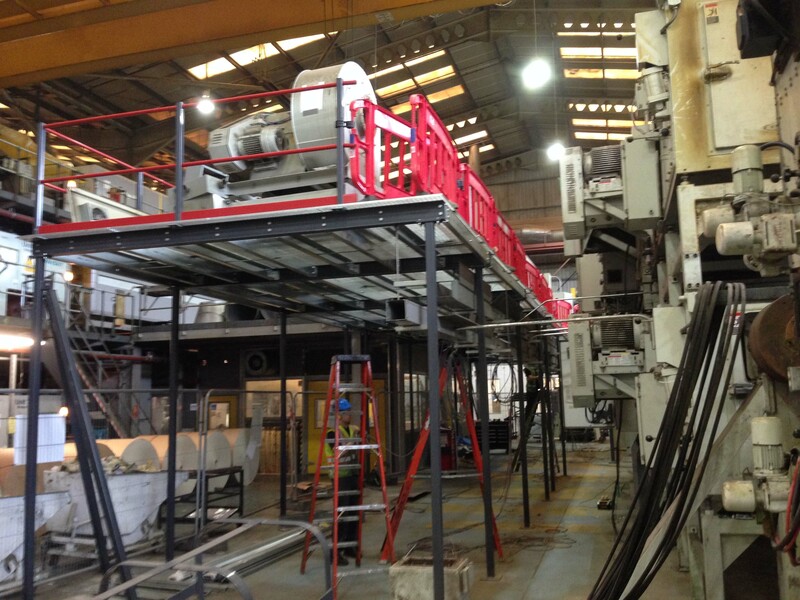 We had to have the floor installed as quickly as possible as the floor surrounded the main electrical input section of the press. With a very keen eye for detail Warehouse Storage Solutions project managers and site manager made the floor fit perfectly. This meant we handed the floor over on time and with no complications. Even the floor was small it was one of the most complicated.